Liverpool players will wear special shirts embroidered with poppies when they host Chelsea at Anfield in the Barclays Premier League on Saturday November 8. As part of plans to commemorate Remembrance weekend and the centenary of World War One, the Reds will also sign their jerseys and donate them to the Royal British Legion for auction to raise valuable funds. Last year, the shirts donated from the club's Remembrance weekend fixture against Fulham raised more than £25,000 for the Poppy Appeal. In addition to a minute of silence before kick-off, two Liverpool Pals veterans, Joe McGowan and Brad Gilbart, led by standard bearer, Ian Mackie, will carry a large poppy to the centre-circle, dressed in WWI regalia. Further support for the Poppy Appeal will be given through an article published in the matchday programme, perimeter LED board advertising and a pre-match bucket collection. 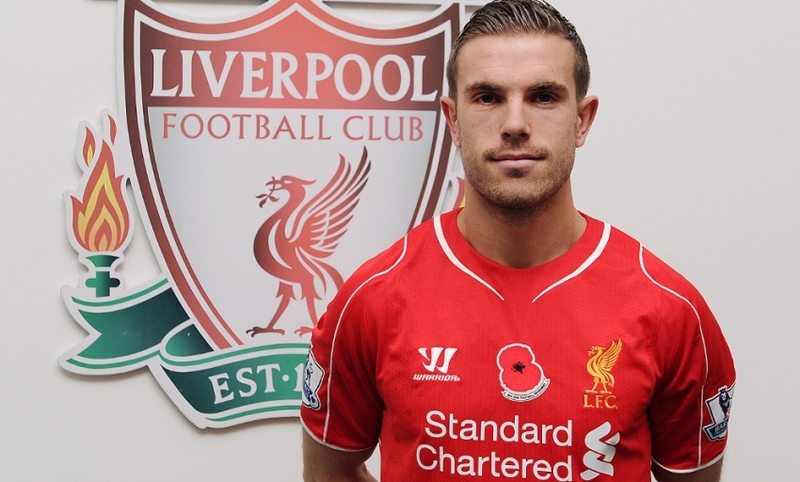 Liverpool vice-captain, Jordan Henderson, said: "It's really important that the team and the fans have the opportunity to pay their respects together at Anfield this weekend and remember all of those who lost their lives serving their country. "I'd like to thank all of those involved in the armed forces, and their families for the amazing work they do." The Royal British Legion are asking football fans for their help to make a difference this Remembrance weekend, with their special text to donate scheme. 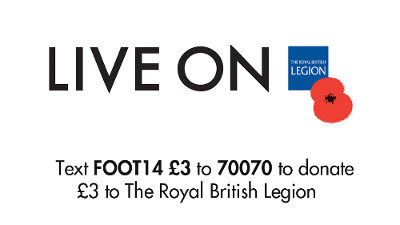 If you wish to make a donation now, simply text FOOT14 £3 to 70070.